When it comes to important systems in your home, your electrical system ranks right up there at the top of the list. As a homeowner, you rely on your electrical system for just about every activity that you and your family enjoy on a daily basis, and when your system isn't working correctly or is experiencing a hiccup of some kind, it can bring things to a grinding halt. Here at Advanced Electrical Company, LLC, our team of professional Hoover electricians have the skill and experience necessary to help you resolve any and all of your electrical service needs, no matter how simple or complex they might be. If your Hoover home's electrical system has been giving you problems lately, or you just think it's time to have your system professionally inspected, give our team of professionals a call today and let us show you the difference that quality service can make. 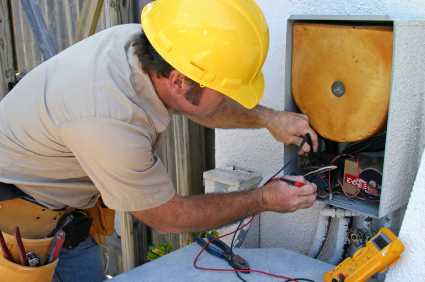 Here at Advanced Electrical Company, LLC, each and every one of our professional Hoover electricians are fully licensed, trained, and experienced in the field, and we know what it takes to deliver you the high quality electrical services you need to keep your home functioning safely, efficiently, and effectively. They were very knowledgeable in their work. Very professional. Time. Answered any questions when asked.